Back in 2003, when most people idolized teenybopper blondes who performed on stage with several backup dancers, the world saw a revival of a familiar kind of music – the kind of music that incorporated jazz with a touch of RnB. One of the most renowned artists of this genre was the late Amy Winehouse. And today, we at You The Designer wish to celebrate one of her life’s most important dates. Amy Jade Winehouse was an English singer and songwriter from the United Kingdom, who was born on September 14, 1983 in Enfield, London. Her recording career started in 2003 with the release of her first album Frank. But it was in 2006 when she enjoyed the peak of her musical career with her highly successful follow-up album – Back to Black which won her five Grammies. Although her life was far from perfect, the songs that she made have clearly made a mark in history and will never be forgotten. 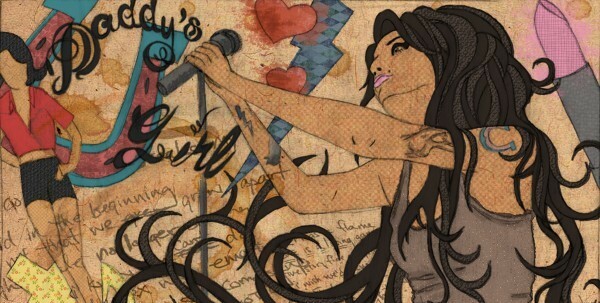 So to commemorate her birthday, we have collected 27 Amy Winehouse fan art to represent her 27 years of existence in this world. So there you have it. And to close this post, we leave you with an inspiring quote from Ms. Winehouse. So which design reminded you of the late Amy Winehouse? Tell us by leaving a comment below or give us a shout out at our Facebook, Twitter and Google+ accounts. You can also subscribe to our RSS feeds for more wonderful design inspirations, informative news and helpful resources for your awe-inspiring graphic design projects.